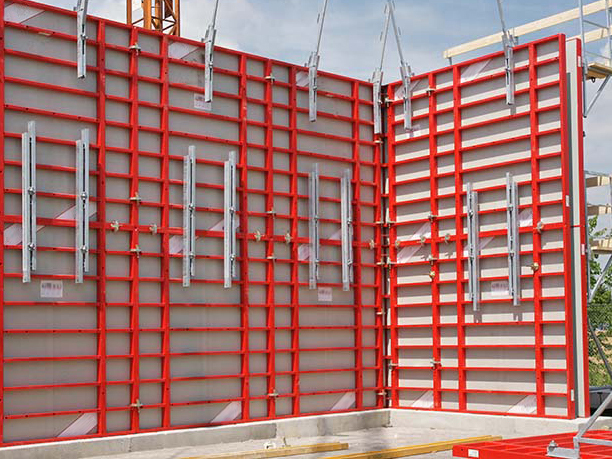 StarTec is a versatile formwork system suited to all sized contractors for use in domestic, commercial, civil and industrial construction projects, large and small. The system is light enough for manual application, but also solid and sturdy enough for crane ganging. The panels are available in heights of 3300, 2700, 1350 and 900 mm; including a large-size panel of 2700 by 2400 mm. 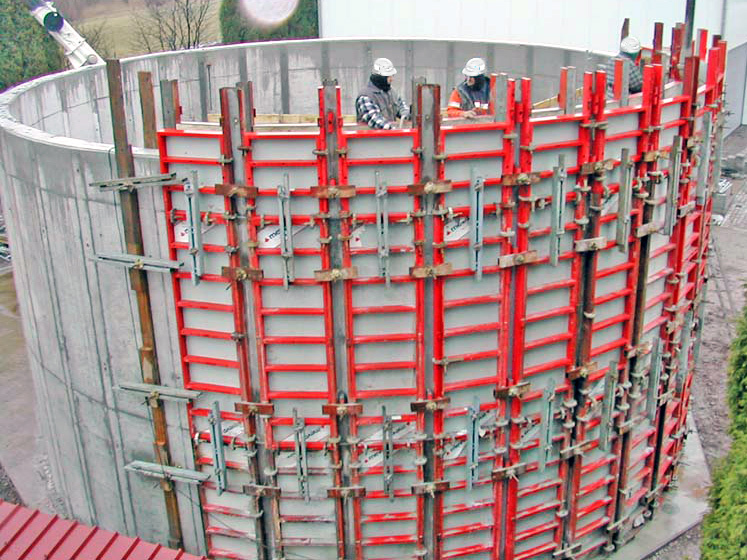 It is always possible to combine the panels in a way to obtain continuous vertical joints in the concrete and keep the projecting formwork height at a minimum. As the profiles and panel sizes are identical, StarTec can be combined with the aluminium formwork system AluStar, in any possible way. Resistant of high concrete pressure with a load capacity of 70kN/m2. Concrete pours at any speed up to 3.30 metres. 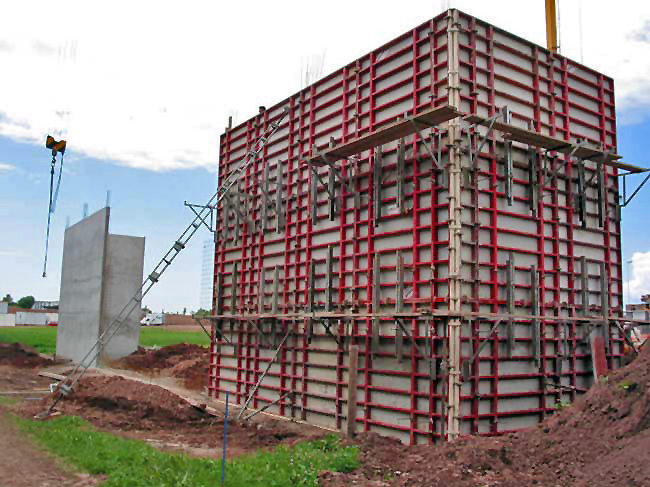 StarTec can be used as wall formwork or for columns. It is fully compatible with AluStar. Autophoretic Chemical Coating and Cathodic submersion coating, along with closed profiles extends the panel lifespan and reduces cleaning. 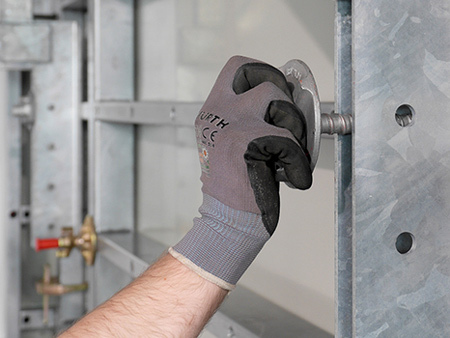 Problem areas can be compensated by attaching Z-Bar tie rods to the multi-function profile – independent of tie holes. Heights of 3300, 2700, 1350 & 900mm. Widths from 2400 to 200mm.